In anticipation of the new Plant Provocateur shop opening in March, The Plant Provocateur is having a cut flowers pop up event featuring the heavenly delicious organic chocolate confections of L.A. based Confectionally Yours. The event is taking place next week Friday, Feb. 13th and Saturday, Valentine's Day, Feb. 14th from 12noon to 6pm both days! The event will be held at the NEW location on the patio of the soon to be open shop at 3318 W. Sunset Blvd., Los Angeles, CA 90026; in Silver Lake next to Night + Market Song restaurant. 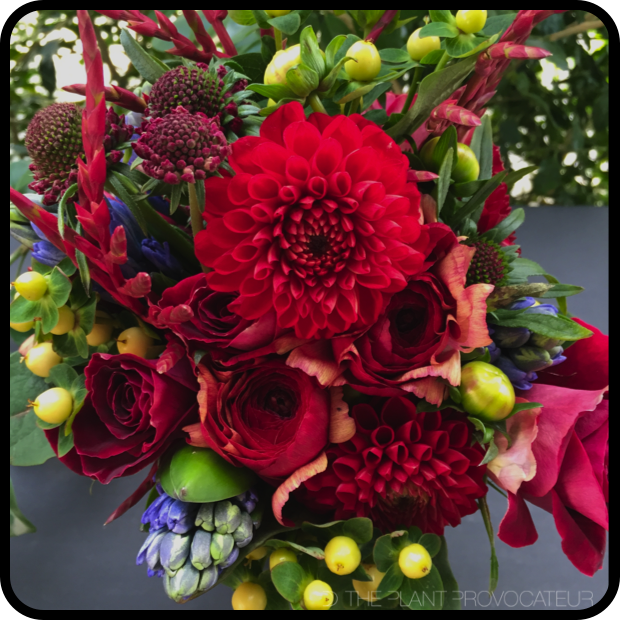 The Plant Provocateur will be offering pre-made cut flower bouquets. And if a super cool, out of the ordinary bouquet for your Valentine is not enough, be sure to get the gourmet feast that awaits you or your Valentine in the form of a Confectionally Yours heart- shaped box! Cut flowers and chocolate couldn't be more perfect for your Valentine. And if that weren't enough and you really want to make the mood romantic, I'll be having an exclusive batch of the most lusciously aromatic candles on hand by The Potion Shoppe L.A.. These are not just candles...their natural, crackling wooden wick will remind you of a romantic weekend away at that cabin with the fireplace. Also, the candles are made of 100% clean-burning coconut wax and burn up to 60 hours. This Pop Up Event has all the ingredients to help you and yours celebrate the romance and love of Valentine's Day. So, if you're in the hood, be sure to drop by and check out what we have to offer. Cut flowers, chocolate, and candle light...you can't go wrong! The Plant Provocateur Is Back With A Holiday Pop Up! And after a hiatus...The Plant Provocateur is back and bringing it to you Holiday Style. For all of you Los Angeles peeps It's Holiday Pop Up Time! Come on down this Sat 12/13 and Sunday 12/14 from 12-5pm and see what's been going on. Still need some holiday decor? We've got that! Need some quick gifts...artisanal organic chocolates, organic apothecary products for bath and body, some of the best vintage denim wears in all of L.A., groovy holiday stocking to put all your gifts in, and maybe a wreath to hang on the door or use as a holiday centerpiece? 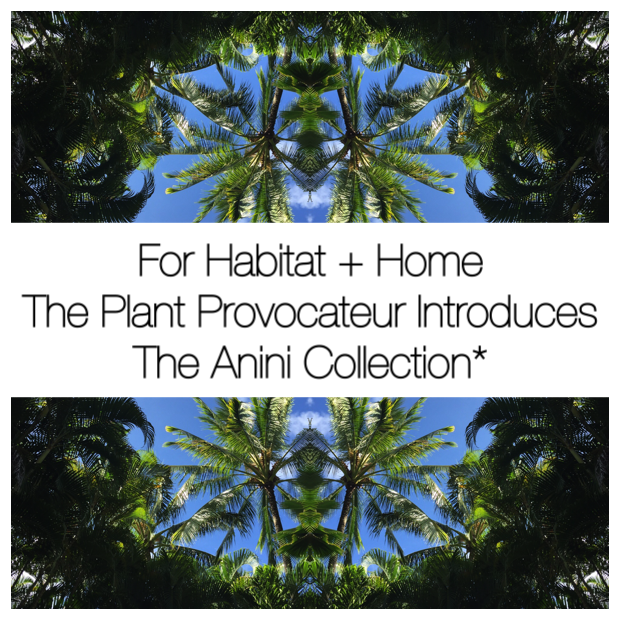 The Plant Provocateur and friends have got you covered. But wait there's more...on the patio there will be pet adoption, free spay/neuter services, animal advocacy charitable clothing, as well as every dollar spent on coffee at Muddy Paw Coffee provides a donation to animal rescue charities. So come on down...support local business and good causes. Oh and I forgot...you'll get to see the future location of The Plant Provocateur shop coming Spring 2015! Lipstick cherry all over! I'm loving the vibrant visual these flowers are giving. They heat up the lens in such a succulent, sumptuous way. This beautiful blast of color comes to us from a super cool, awesomely architectural succulent known as Crassula falcata. This South African succulent is one you should know and one you should grow! It is commonly referred to as the Propellor Plant, Airplane Plant, or Scarlet Paintbrush. The later moniker refers to the amazing display of flowers that erupt from this sculptural succulent in late summer, which tends to be a time when things are fairly quiet in the drought tolerant succulent garden. Crassula falcata's flowers can set the scenery ablaze for almost a month. It's a delicious spectacle to behold. The truly unique feature of Crassula falcata is its propellor-like foliage that looks as though it's made of stone. The leaves stack themselves in an angular fashion, one on top of the other, to create a stylishly sculptural display of cool graphic form. Crassula falcata tends to grow slowly in an upright, semi-branchless, clumping form up to 2 feet tall and wide. It does great in both full sun and light shade conditions. It likes a well-draining, cactus soil mix and requires low amounts of water to thrive. In hot locations, it looks best if it gets a bit more water. As for hardiness, if you grow it outside, it's hardy down to 25 degrees fahrenheit/-3 degrees celsius. If you're into succulents, this is definitely one for the collection. 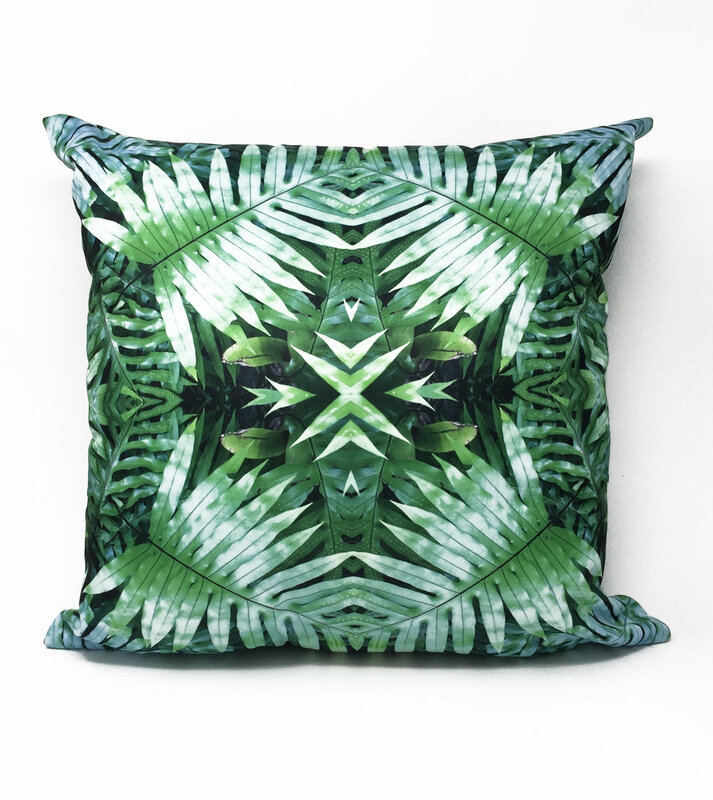 If you're into graphic design decor, this is definitely a cool candidate for some fashionable foliage for a container indoors in a bright sunny room or as a conversation piece out on the balcony, porch, or patio.